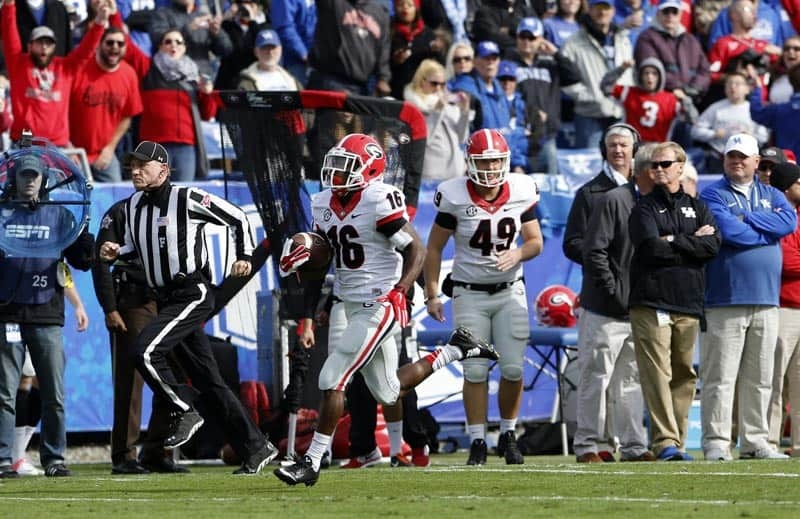 After their 63-31 blowout win at Kentucky, the Georgia Bulldogs have moved up to No. 14 in the Amway Coaches Poll and No. 16 in the AP Poll for Week 12. The Mississippi State Bulldogs, who beat UT Martin 45-16, remained number one in both polls. On Tuesday, the College Football Playoff Selection Committee will release their third set of Top 25 rankings. UGA is currently ranked 20th there after initially coming in at 11th. Georgia’s next game is Saturday, Nov. 15 vs. Auburn (7:15pm ET, ESPN, Buy Tickets).